It's less than a month until Christmas now. Hard to believe it, but yes, we've already reached that time of year when we start looking back and reflecting on what we've achieved since January. 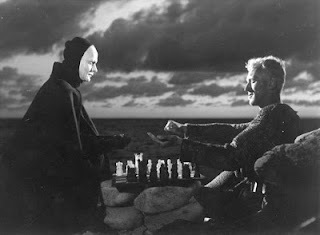 Chessers who've had a good twelve months will probably be looking forward to 2013 with optimism whilst those of us who've done less well will be wanting to get shot of 2012 as soon as possible and hoping that the New Year will bring a return to better times. I'm very much in the 'mediocre year' camp, I'm afraid. It turns out that replacing a part-time job involving next to no commute with five days a week employment that requires three hours travel each day plays merry hell with your chess. Who'd have thought it? 2011 was different. In fact, a year ago precisely it was very different indeed. Back then I was scoring +0 =1 -4 in a tournament and playing the best chess of my life. No, really. 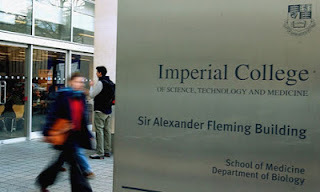 The tournament in question was the Imperial College Open, played over Bonfire Night weekend last year. The raw results, I admit, do not look good. It was one of those weekends. The sort where you score one draw and three defeats in the first four games and then get paired with a thirteen-year-old with a grade in the 190s (2100+ elo) for the last round. Lovely. I'm usually rather suspicious of "I'm losing, but I'm playing well" kind of statements. Considerably more often than not they are exercises in self-delusion. Nothing more than excuses offered by those who wilfully ignore the fact that turning good positions into losing ones is actually playing badly and not the reverse. On this occasion however, even though I'd taken a hammering I still felt that there were lots of positives that I could take from the tournament. Mostly I'd lost to people who were simply better than me and while I'd had a disaster against Tim Rogers in the third round, I'd generally fought hard. Yes, I'd come up short and lost games, but I didn't think that I'd been outclassed. I was, then, in an uncharacteristically optimistic mood when I sat down the very next evening to play Roger Abayasekera in the Streatham v Guildford Surrey League match. It turned out to be a highly enjoyable scrap. My opponent's grade at the time was 185 so a draw was a decent result for me. More importantly I'd had just as much as the game as him and hadn't weaselled my way to a half point. If anything it was me who had missed a chance to get an edge. It turned out not to be a one off. Over the following fortnight I scored +3 =2 -1 against opposition with an average rating of 174 ECF (approx 2040 Elo). My only loss came against IM Graeme Buckley in a match against Wood Green. A lucky run? Maybe so, but my results immediately before the tournament were much better than usual too. I played four times in October 2011 - against a 180, a 173, a 185 and another 180 - winning one game (see here and here) and drawing the other three. 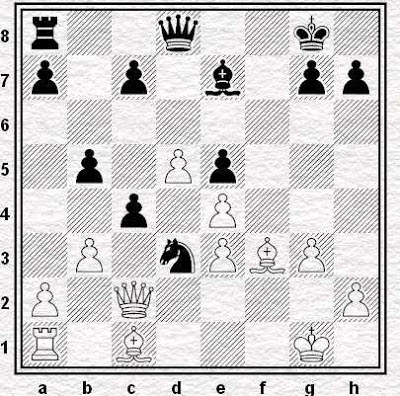 As far as club chess goes, at least, this was by far the most successful run of my life. The other day, I got out my calculator to see just how well it had gone. At the time my ECF grade was 172 (it remains my highest ever published grade) and yet for the seven games I played after Imperial College my grading performance came out at 190 (2170) and the four games I played before it come out at 185 (2130). We can all boost our grades by not counting our losses, I suppose. However, even when I included that disastrous tournament my grading performance for the 17 games still came out at 174. If I could play like that all the time, I'd set a new personal best! Of course, it didn't last. For a month and a half I proved I could mix it with players a cut above my usual level, but then it all came to a juddering halt. A year ago today I reached an extremely good, possibly winning, position against Mark Rich (then 199) on the White side of a Classical Dutch and yet proceeded to get wiped out. Shortly afterwards I was outplayed by Angus James in the final of the Slater Kennington Cup (so it is his name and not mine that now sits on the trophy alongside RDK's) and I ended the year with a truly abysmal tournament at the London Chess Classic Open. I'm not sure any of this means that much. The upshot of this unusually fertile period in my chess career was my grade dropping five points! I haven't played well in 2012, but gradingwise I might be about to return to where I was before - unless Penarth isn't counted, in which case the games I played at the Classic will probably still be included in the calculations and my grade will tumble even further. It all seems a little random, doesn't it? So, no, I don't think the numbers matter. Now that I'm struggling to notice one-move threats, though, it's good to be able remember it wasn't ever thus, that there was a time when I reached a standard that was a notch or two above my usual level of play. As for next year, well those of us who are looking forward to bidding 2012 good riddance are going to be keeping firm hold of the belief that it's possible for us to hit our (relative) heights again. It may be deeply delusional, but we're going to do it. Why else would we keep coming back to this stupid game of ours? I seem to recognise that position - wasn't it from a previous blog post? It was the worst of times when I was working for Imperial College. It was the best of times when I left. you could be right. It's not unknown for me to have forgotten writing certain posts. I'll have a look back when I get a moment. Chess Is Like... The Church? What Do You Do, Son?